Apple Butter is a family favorite. It's no surprise seeing how we live in an area rich with apple orchards. 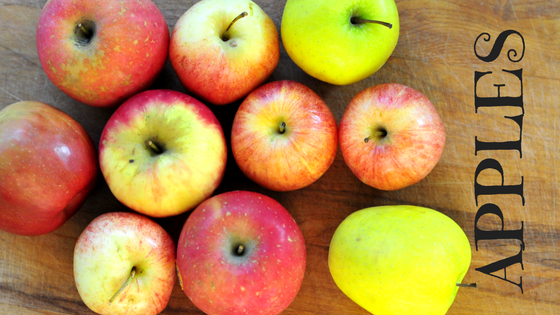 Oregon and Washington both have an abundance of delicious apples. In my neighborhood alone we have 5 trees that are considered wild apple trees. They don't sit on any one person's property. I imagine they were planted by someone at some time in the past. The last two years I have watched these trees drop their apples without a single apple being picked or picked up. It kind of broke my heart to think that a tree produces this fruit, free fruit at that, and no one uses it. I decided this year we would gather up the apples and make something with them. And something we have. I have made apple butter, applesauce, and apple cider. It has been a fun October watching the apples once ignored, now being stored up for future use. I first had apple butter in Alaska. It was so good. The weather outside sat at a brisk 40 degrees below zero and the warm fire of this small inn lured us to his tables. We were greeted by warm biscuits, fresh butter, and apple butter. The combination sat in our mouths and warmed our bellies as we took in the whole Alaskan experience. 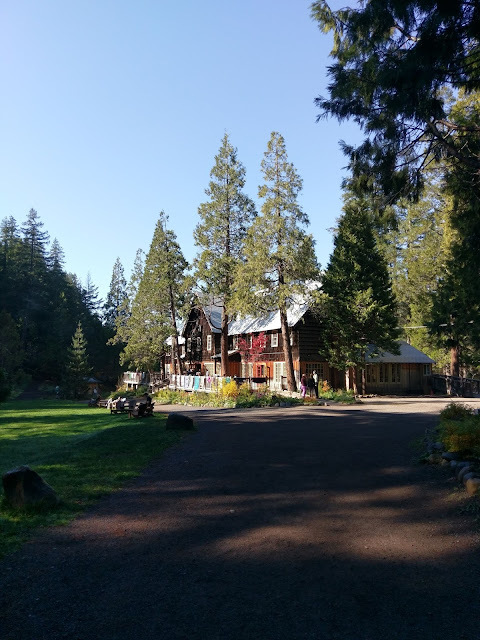 We finally thawed our feet and hands and greedily consumed more of the food in front of us. I have searched high and low for the exact recipe. I bought their kitchen cookbook with all their favorite recipes, the apple butter recipe is listed. It didn't taste like what we had in Alaska. I was a bit disappointed. I continued my search with some mild success but never having the same experience of a heavy, rich, full flavor apple butter. Until this year. I figured out the reason mine had problems in the past. The problem was the flavor was not bold enough for me. Something was lacking. It was more like applesauce and not apple butter. Then, I decided to keep the peels on. I removed the seeds from the apples but did not peel them. The idea came to me when I used my stick blender for a few other dishes. The stick blender blends everything into this thick sauce. I wondered if it would do this with the apples. The apples break down during the cooking and the stick blender did the rest. 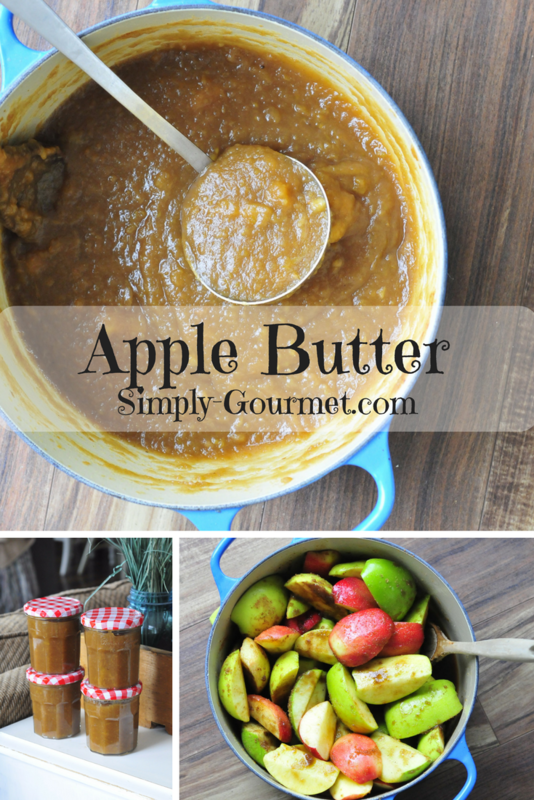 Blended the apple butter into a perfect blend of sweet and tart flavor. The texture was thick. I did add some brown sugar, salt, and cinnamon to enhance the flavor a bit. The apples on the trees were a bit sour and the extra sugar was needed. I would take this into consideration: are you using wild apples or store bought apples? Taste your apples first so you can decide in advance what and how much sugar you will need to use. The best part of making apple butter this time of year is it is the perfect treat to bring to local festivals or family gatherings. I took mine to our local Montessori. Each month we do a meet and greet with the parents. I made homemade vegan biscuits, homemade vegan butter, and this apple butter. It was a hit. 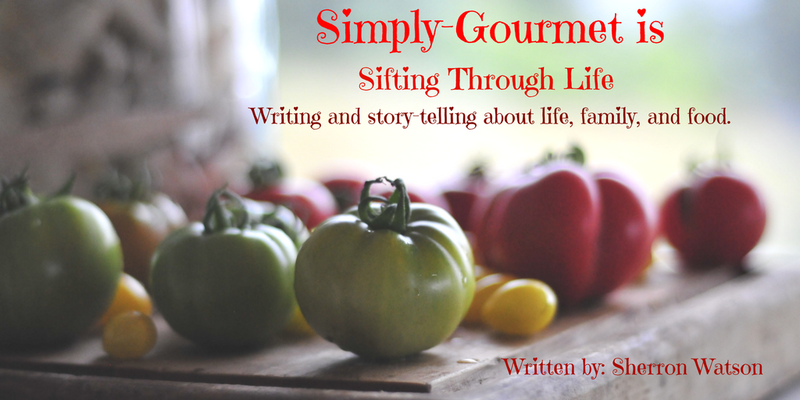 Foraging for food is a fun pastime for our family. Once we discover that we can eat something in our backyard we study it and then try to use it. My goal is to fill my yard with edible plants and herbs. I think this is a great way to feed my family. I live in an abundant state when it comes to wild food and free food. We would be remiss if we did not take advantage of this exceptional opportunity. 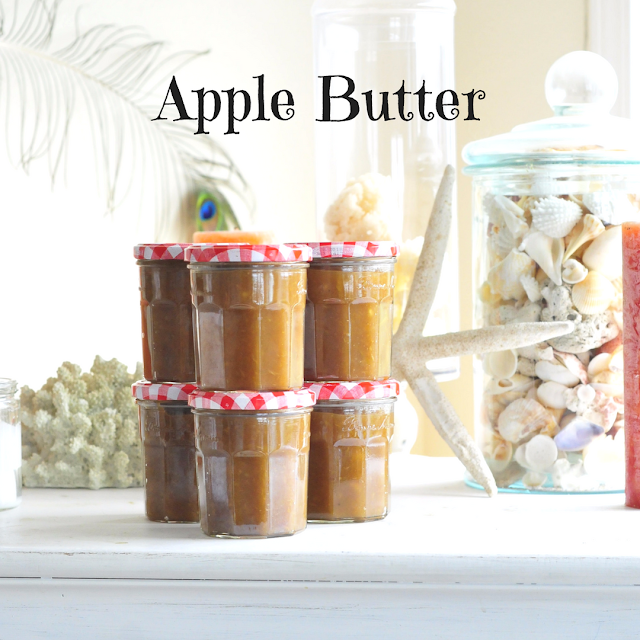 I also make apple pumpkin butter. The recipe uses the crockpot. CLICK HERE to view this recipe. 1. Wash and core the apples. You do not need to peel the apples. 2. 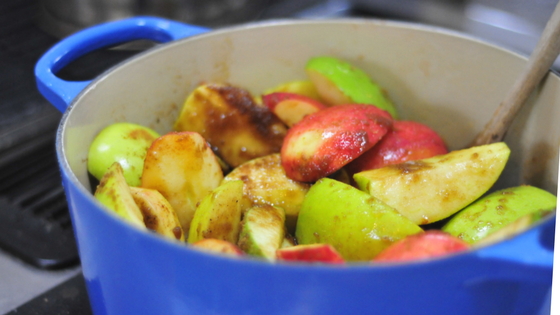 In a large stock pot add apples and ingredients. Stir well to combine all ingredients. I do not add water to my apple butter. The apples make their own juice. Cover and heat on medium. This first little bit I check and stir the apples to make sure they don't stick until the juice is deep enough in the bottom of the pan to not worry that it will burn. IF, the thought of adding no water bothers you, then add a little bit to the bottom of the pan. 3. Check and stir apples about every 30 minutes. I let my apples stew or simmer until they are soft. You can tell when the apples start to fall apart that they are close to being finished. 4. This process can take up to two hours. Once the apples are all soft use a stick blender to puree the apples into apple butter. Taste your apple butter. Add more sugar at this time. 5. The apple butter is done when the flavor is just right. The apple butter will thicken in the refrigerator too. 6. I use my old jelly jars to store the apple butter in. 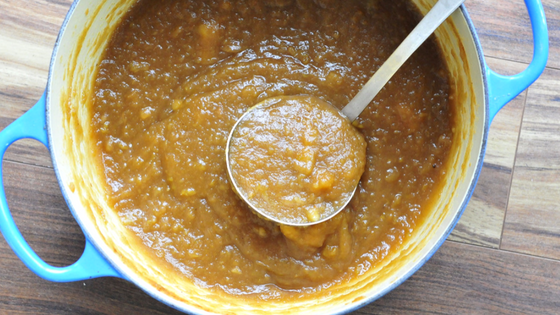 This recipe will not store your apple butter. You will need to process the apple butter if you wish to preserve it for later use. The apple butter is good for 10 days in the refrigerator. 7. You can freeze it too. This may change the consistency of the apple butter when thawed.